When it comes to getting a new flat roof we know peace of mind is key. You want a roof that's made of the highest spec materials; a roof that won't leak, warp, crack or weather. A roof that's maintenance free and is still going to look good in years to come. That's why we make the Tekseal promise and back it up with not only our own 25 year guarantee (in line with a 25 year BBA Approval), but also an independently backed Consumer Protection Association guarantee, all at no extra charge. 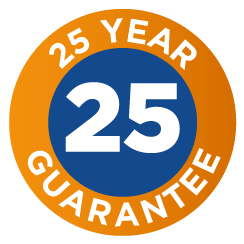 Every TekSeal roof is backed by a 25 year guarantee against leaking. 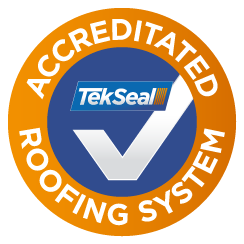 All Products used in the Tekseal Roofing system have been tested extensively by the BBA and given a seal of approval, you can be assured your TekSeal roof is of the very highest standard. (T&Cs apply). Click here to see our BBA Certificate. When it comes to protecting your home, experience tells us 3 layers just isn't enough. 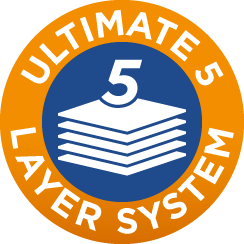 That's why at TekSeal we only ever use a unique 5 layer system made up of the highest grade materials. We start with tongue and grove OSB board to ensure there are no gaps. This eliminates the need for taping over joints and also allows the resin to seep into the grooves to form a water tight seal. Next, a layer of the highest grade TekSeal resin, followed by 450g of chopped strand material, another layer of resin and a further 450g of matting. All of this gives you 900g of lamination instead of the industry standard 450g. In short, it gives you a stronger, more durable roof. Finally our topcoat is designed to protect your roof from whatever the weather throws at it, from years of UV light to plummeting temperatures and sudden downpours. 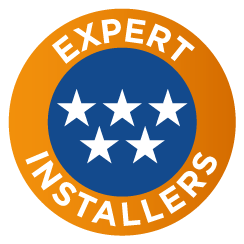 All our roofers are chosen both for their knowledge, craftsmanship and experience. Ongoing training in the latest methods ensures that all our roofs are installed by industry leading experts. And with a project manager inspecting every job, you can be sure your new roof has been installed to the very highest standards. 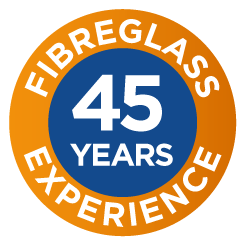 Over the last almost half a century we’ve worked on 1000's of fibreglass projects. It means you can be confident, whatever challenge your project may throw at us, we will know just how to solve it. With so much experience, you can be sure your TekSeal roof will not leak, crack or deteriorate, whatever the weather throws at it. 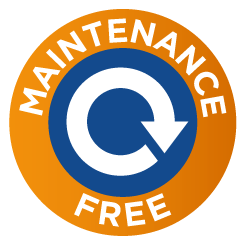 We don't just want your new roof to remain leak free, we also want it to look good for years to come. That's why we only use materials that have great weathering characteristics. It won't crack or warp, and unlike felt roofs, it won't get covered in moss. And the best thing; you don't need to do a thing to keep it looking this good.